Exploring small-scale mechanisms to understand ecosystem dynamics. Our lab investigates how corals and other marine organisms interact with their surroundings. This research spans multiple scales of biology, from molecular pathways used to detect changes in the chemical environment, to intercellular communication between corals and their microbial symbionts, to the effect these small-scale dynamics have on the interactions between benthic reef organisms. These mechanisms are important for predicting how marine ecosystems will respond to an environment that is increasingly affected by human activity and climate change. Please explore below to learn more about our work. Corals are increasingly threatened by rising sea surface temperatures and ocean acidification. 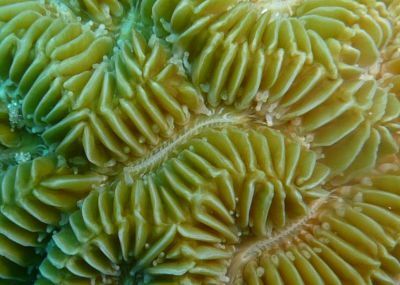 Our research explores the fundamental aspects of coral cellular physiology, helping predict how corals adapt to stress. Coral reefs are home to an incredible diversity of organisms large and small. Interactions between these organisms affect their survival and distribution, and in our research we seek to understand what drives these dynamics. 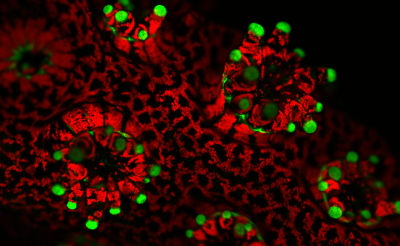 Corals have a variety of symbiotic microorganisms associated with their tissues and cells, each with a unique contribution to coral physiology. We are interested in understanding how corals and their microorganisms interact. 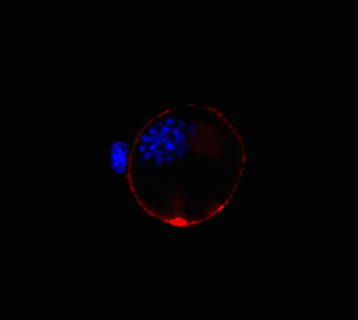 Undergraduate students interested in research opportuninties in the Barott lab, please fill out an application by following this link. Prospective graduate students should contact Dr. Barott directly via email, and include a copy of their current C.V. We accept students from either the UPenn Biology Graduate Group and/or the Microbiology, Virology and Parasitology Program that is part of the Cell and Molecular Biology (CAMB) Graduate Group. Please look at the respective websites linked above for information on these doctoral programs. Prospective postdoctoral researchers should contact Dr. Barott directly via email, and include a copy of their current C.V.